Harry and Meghan have released their official gift list from their mini-moon to Ireland last July. And it's safe to say the couple left with enough GAA goodies to keep them going for a few decades. Taoiseach Leo Varadkar gifted the newly-weds with a 'hamper of Irish produce', while Tánaiste Simon Coveney represented the Rebel County and presented the royals with a Cork jersey. Not forgetting the Kingdom, Junior Minister for Sport and TD Brendan Griffin gave Harry and Meghan a Kerry jersey to add to their new county colours collection. President Michael D Higgins added a Celtic twist to the couple's wardrobe, presenting them with a brooch and cufflinks. 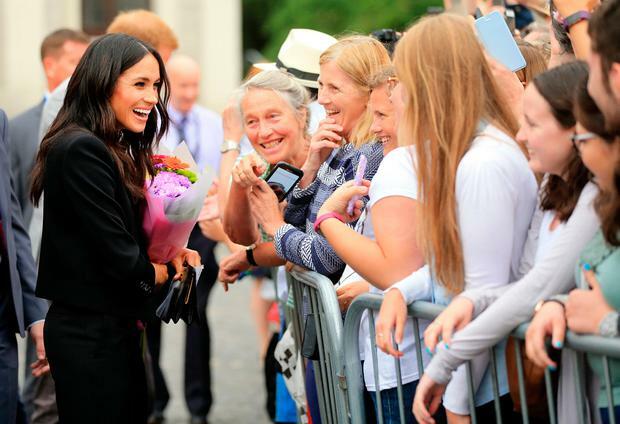 The royal couple, who travelled to Ireland on their first trip abroad after their wedding last May, also received hurleys, sliotars, books, cardigans, a child's drawing, scarves and pocket squares, handbags and jumpers during the trip. A more unusual gift included a framed image of the Duke and Duchess of Sussex's names represented as molecules. The couple flew into Dublin Airport last July 10 and spent time in the capital visiting Trinity College and the EPIC museum. They also visited Croke Park attended a garden party at the British Ambassador's residence.